-One out of ten women will suffer from breast cancer in her life. -In China, breast cancer is a dramatically growing disease, and is the No.1disease in urban women population. -Early detection is a critical step for disease treatment and for improving women's life quality. -OPTIMUS system is developed on the basis of an innovative technology protected by several US and Chinese patents. -OPTIMUS is the result of a combined research and development effort by the University of Connecticut and MDT since 1998. -This effort has been supported by a variety of resources including the Connecticut Innovative Fund, NIH grants, Hartford Hospital, and the Health Center of the University of Connecticut. -As an innovative technology, it has been shown in the media like Laser World Magazine, Radiology Magazine,and featured in television programs on CBS. Common characteristics of malignant tumor growth: Research has shown solid breast tumors become clinically relevant once they develop a blood supply, and malignant tumors have higher MVD of their surrounding tissues. Subtle vascular changes are often associated with breast cancer in its earliest stages. 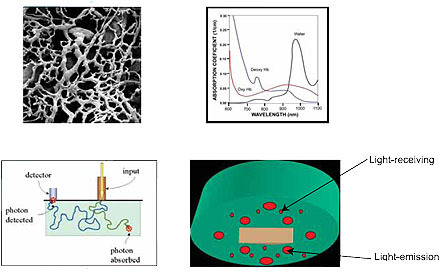 DOT technology can detect abnormal blood supply changes in local tissues, and thus provide information for early diagnosis before the detection of morphological changes. 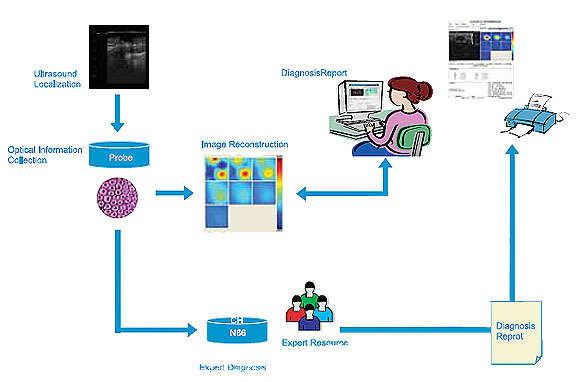 OPTIMUS imaging: provides functional information of breast tissues, and reveals the concentration of Hemoglobin and Oxygen saturation, reflecting angiogenic status of lesions. -Tumor Angiogenesis: In 1994, the Angiogenesis Foundation identified angiogenesis as the “common denominator” in important diseases, including breast cancer. 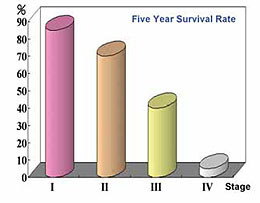 Research has shown that solid breast tumors become clinically relevant once they develop a blood supply. Subtle vascular changes are often associated with breast cancer in its earliest stages. Recent technology detects vascular changes and forms a vascular profile to indicate the early vascular zed lesion. 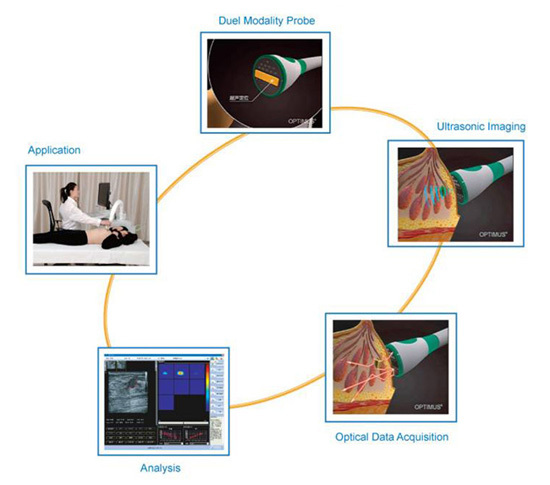 -Localization- Uses ultrasound imaging to localize tumors, which offers good spatial resolution, and can detect breast lesions of a few millimeters in size. OPTIMUS takes advantage of this technology to localize tumors. -Identification- Optical tomography is used to indicate the likelihood of tumor malignancy, a new technique that employs diffused light in the near infrared spectrum, provides functional images of tumor angiogenesis and tumor hypoxia. OPTIMUS utilizes such functional information to indicate the likelihood of tumor malignancy. -Early Detection- OPTIMUS can detect and diagnose lesions as small as 0.5cm in diameter. 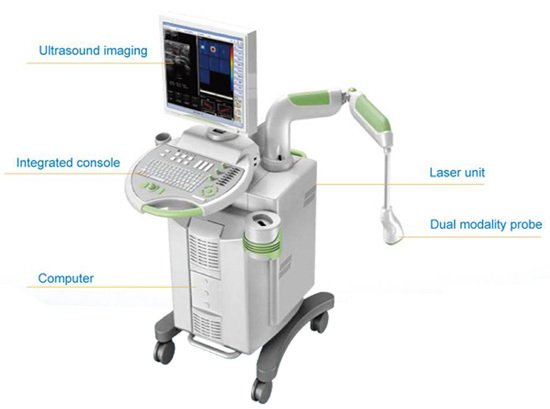 -Non-invasive- OPTIMUS performs breast imaging with non-compression, non-radiation, and non-invasive. 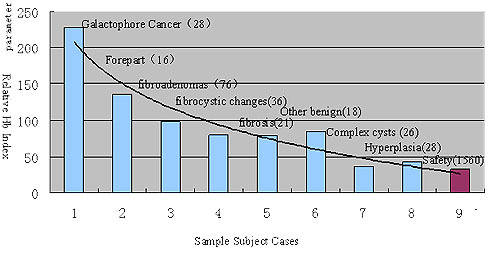 -Rich information about tumor blood and morphological characteristics, including hemoglobin(HBT), Oxygen concentration(SO2), tumor shape, lobe, and orientation, etc. -The result shows significantly higher HB index values in the malignant group (avg.122µmol/L)than those in the beginning group (avg.55 µmol/L). -When a threshold of 95 is used to separate malignant and benign lesions, the sensitivity specificity values are 100% and 96%. 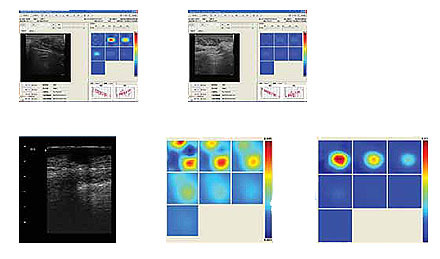 -Optical tomography provides higher sensitivity and higher specificity than color doppler ultrasound. Clinical trials were performed in four hospitals in China. 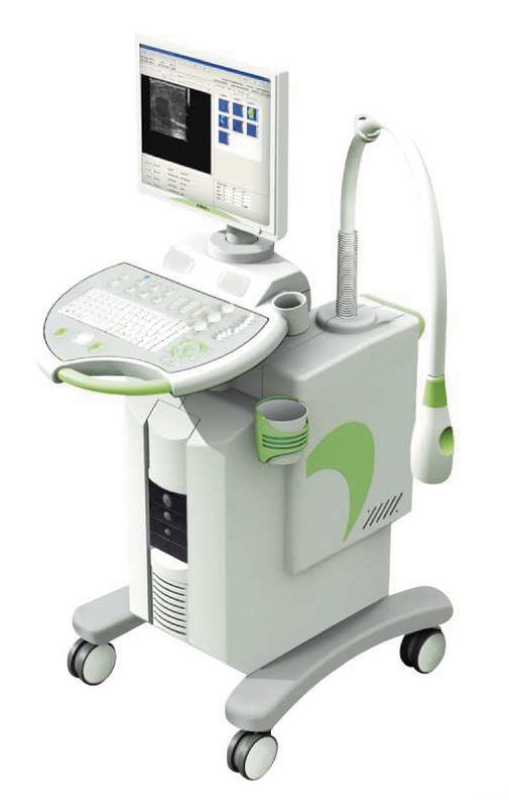 The diagnosis result of OPTIMUS system was compared with X-ray mammography and biopsy results. 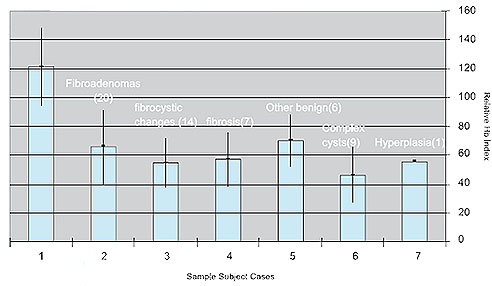 With 90 trial cases, OPTIMUS system demonstrates 100% sensitivity and 86% specificity. OPTIMUS is used in a hospital specializing in tumor as a screening and a patient diagnosis device. Among 833 women examined over a two-month period, 38 were diagnosed as suspicious malignant lesions. 23 out of the 38 patients underwent surgery with 20 confirmed cancer cases.